Announcement MoveIt 2.0 development has begun! Out-of-the box visual demonstrations allow new users interactive experimentation with various planning algorithms around obstacles. Execution on physical hardware is then just a click away. 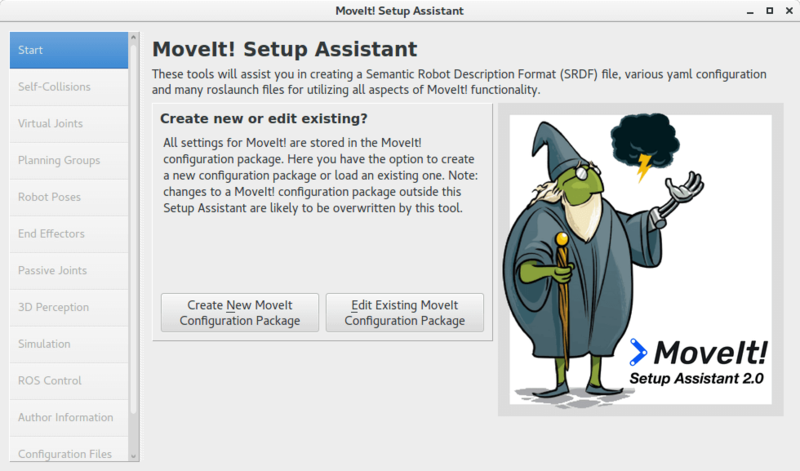 Quickly setup any robot to work with MoveIt! with the step-by-step configuration wizard, or use popular pre-configured setups. Also includes configuration of Gazebo and ROS Control! 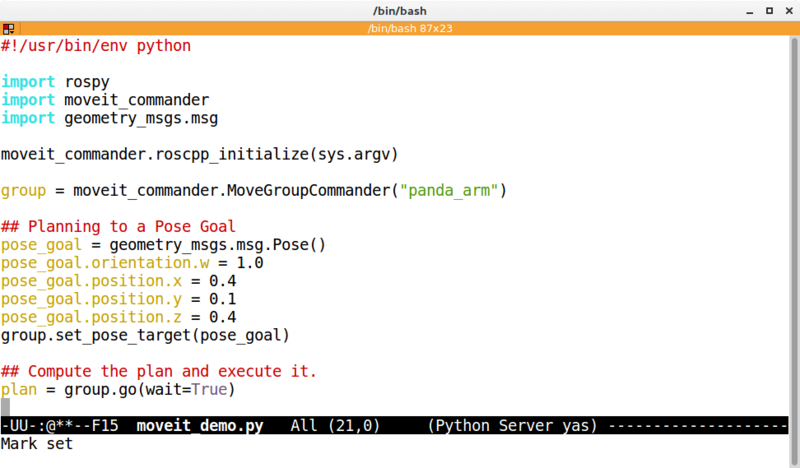 Use high level Python scripts to orchestrate complex motion planning, leveraging high-performance C++ libraries in the background. Or use the C++ interfaces directly. Speed up development and testing cycles by leveraging a full physics-based simulator with MoveIt!. Combine Gazebo, ROS Control, and MoveIt! 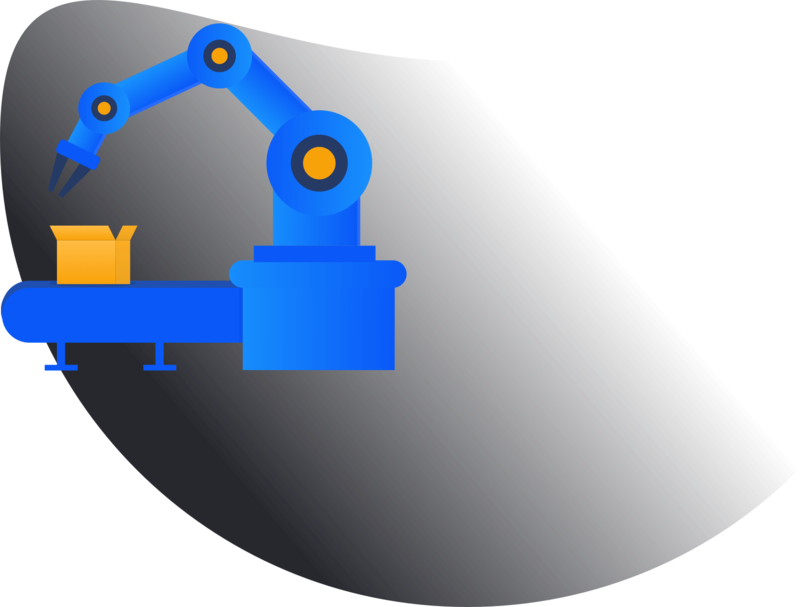 for a powerful robotics development platform. MoveIt! 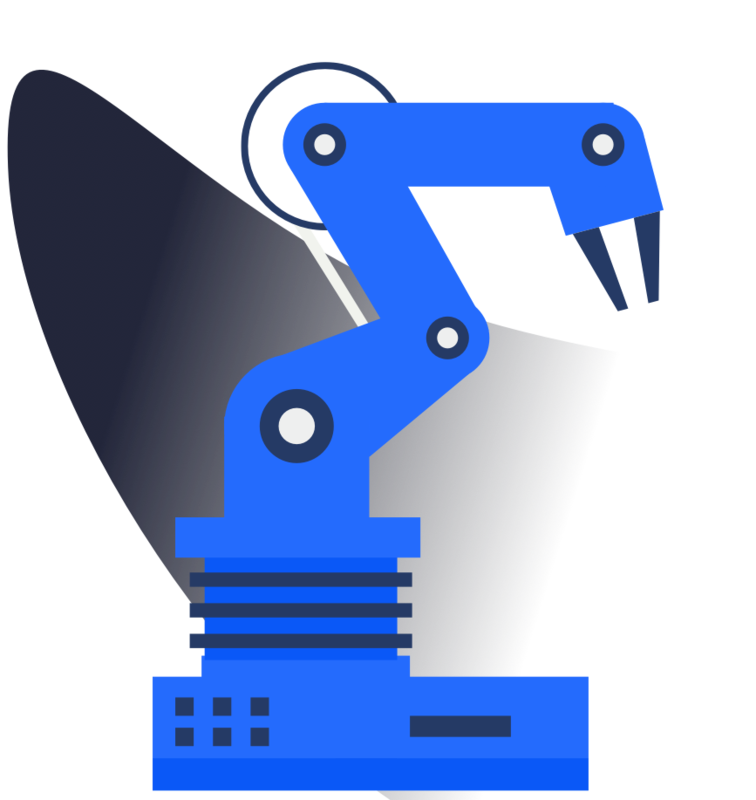 is the most widely used open-source software for manipulation and has been used on over 100 robots. 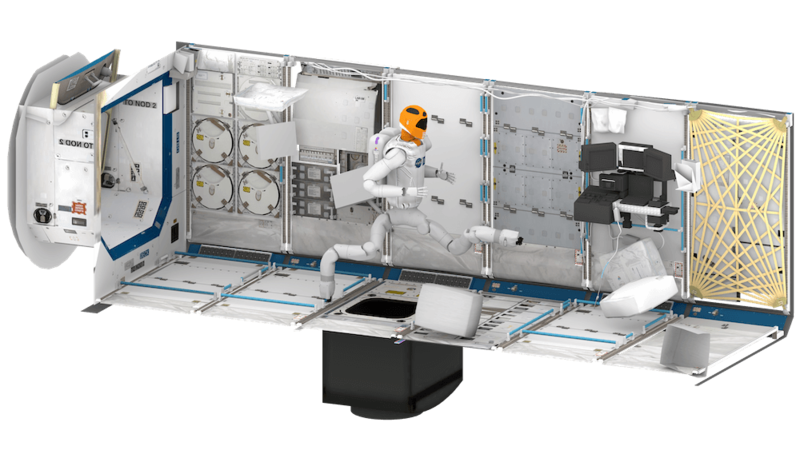 See the Robots page for a list of some of the robots that MoveIt! is being used with. PickNik is actively seeking funding for development of MoveIt for ROS 2.0. See roadmap. This LTS builds on the latest version of ROS1 and can also build on Ubuntu 16.04. This LTS is stable and no API changes are accepted. This LTS is stable and only bug fixes should be backported. This LTS is nearing end of life and is discouraged for adoption.